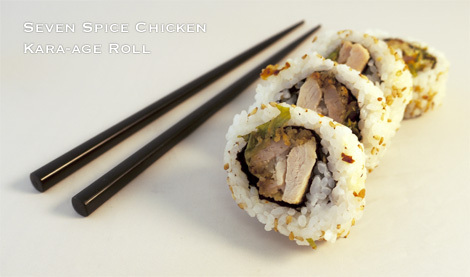 This sushi roll is made with chicken kara-age and a traditional Japanese chilli seasoning called “shichimi” that contains seven spices to create a perfect blend of flavours. Combined with the seasoned flavour of chicken kara-age, this slightly spicy inside-out uramaki roll is already one of my favourites! 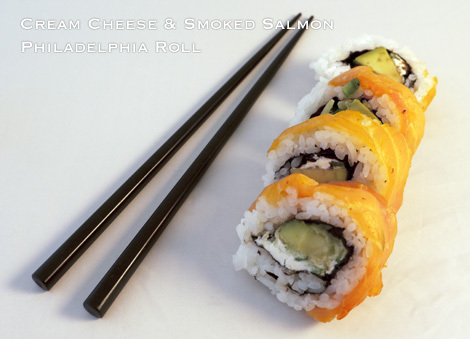 A Philadelphia Roll is a recent sushi invention made by combining smoked salmon and cream cheese. These unconventional fillings make a great tasting sushi when mixed with avocado. 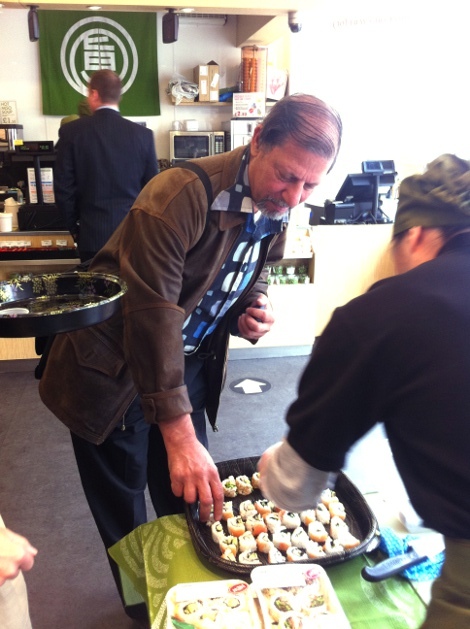 We even had some free tasting at Japan Centre earlier this week to test out these new sushi flavours and they were a hit with everyone who tried them. Keep any eye out for more free tasting at umai coming soon! Posted in Uncategorized and tagged salmon, Shichimi, sushi. Bookmark the permalink.